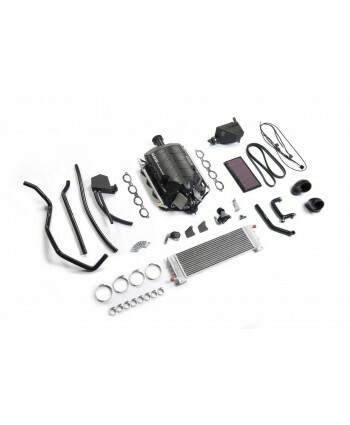 Product Description-6/7 or 8PSI specification available,-2.9L Whipple Twin Screw SC unit-Large capacity intercooler system-High flow fuel rails and crossover system. There’s nothing quite like the Mercedes Benz W204 C63 AMG. Fitted with the monstrous M156 6.2L V8, the C63 rocketed past its competition, making it the fastest production 4-door car at its debut. At ESS, we think there’s some imp..
-6PSI Boost (7 and 8PSI optional for 93AKI/98RON fuel)-2.9L Whipple Twin Screw SC unit-Large capacity intercooler system-550cc Bosch fuel injectors with high flow fuel rails and crossover system.-Perfectly matched ESS ECU software with superb driveability. +150WHP on PP cars, + 180WHP on base C63. There’s nothing quite like the Mercedes Benz W204 C63 AMG. Fitted with the monstrous M156 6.. This is Eaton’s latest Twin Vortices Series (TVS) supercharger unit, called the TVS2300. At around 7 psi, the Hammer Supercharger System adds more than 120hp to the wheels, and with CARB certification pending. 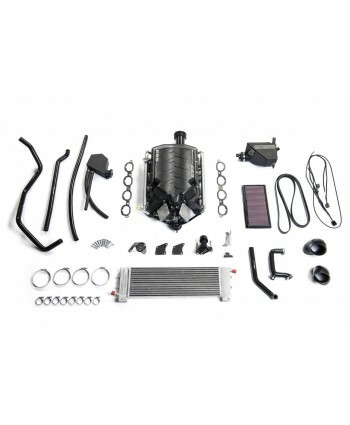 The OEM look of the system is a first for this type of platform, allowing for larger dual-charger air coolers, a larger plenum and tapered runners. 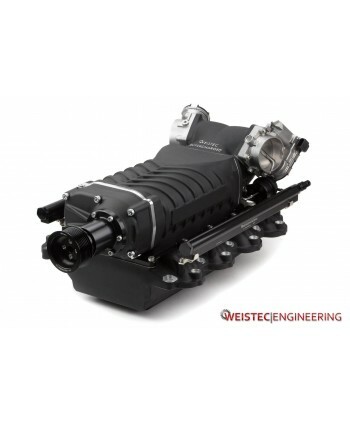 The Hammer TVS2300 supercharger unit is qu..
637 Horsepower, 560 ft-lb of TorqueFOR COMPLETELY STOCK VEHICLESThe Weistec Stage 1 Supercharger System transforms your AMG 63 with huge power output.This system is 50 state smog legal, per EO # D-691-2.Key Features:2.3L Twin-Screw Compressor Module Why Twin-Screw?1000hp Liquid to Air Intercooler CoreHigh Flow Cast Aluminum T6 Hardened Lower ManifoldHigh Flow Cast Aluminum T6 Hardened Throttl..
672 Horsepower, 662 ft-lb of TorqueREQUIRES HIGH FLOW EXHAUSTThe Weistec Stage 2 Supercharger System is specifically designed for vehicles with high flow exhaust systems, and utilizes the ultra efficient Weistec direct drive belt system. Proper ECU remapping and supercharger drive ratios have been modified to work in conjunction.Key Features:2.3L Twin-Screw Compressor Module Why Twin-Screw?10..
740+ Horsepower, 630+ ft-lb of TorqueREQUIRES HIGH FLOW EXHAUST, REMOVAL OF SECONDARY AIR INJECTION VALVES, ROW AIRBOXES, AND SPARK PLUGS. 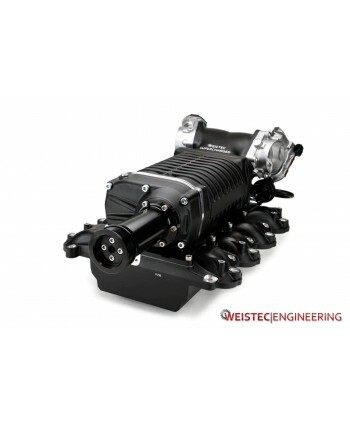 BUILT TRANSMISSION RECOMMENDEDWeistec Stage 3 Supercharger System is built to address the needs of customers looking for the most power out of the 63 AMG. Incorporating many years of Mercedes supercharger knowledge, the larger 3.0L twin-screw is the p..